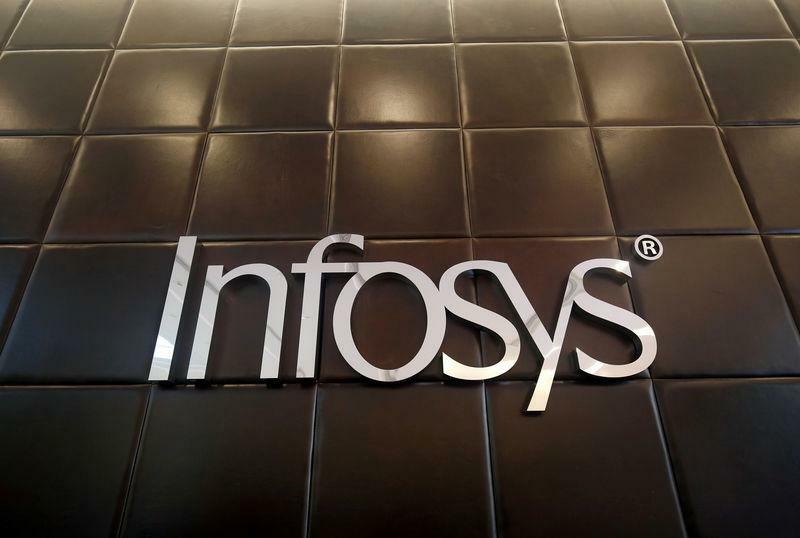 BENGALURU/MUMBAI (Reuters) - Infosys Ltd, India's second-biggest IT services company, on Friday raised its revenue growth forecast on the back of robust demand for its core services as well as its latest digital offerings from its Western clients. "Our segments are doing well, both of our main digital and core services are doing well and that's giving us some confidence for the guidance for revenue," Parikh said. A year earlier, Infosys made a profit of 51.29 billion rupees, helped by tax benefits from the company's deal with the U.S. Internal Revenue Service, it said in a statement https://www.bseindia.com/xml-data/corpfiling/AttachLive/c9bea3b5-4db0-4128-99f7-d7c436a32bdd.pdf. On Thursday, Infosys' bigger rival Tata Consultancy Services Ltd reported a record quarterly profit for October-December. The company's operating margin declined 110 basis points to 22.6 percent even though it retained the margin guidance in the band of 22-24 percent. Infosys said it was "no longer highly probable" that the sale of its units Kallidus & Skava and Panaya would be completed by the end of March.